What is a Polar Vortex ? The tropical storm Yutu has started to peter out but its remnants are still causing rain in northern and eastern Taiwan. As per the Central Weather Bureau (CWB), the typhoon was moving northwest and was 470 kilometers southwest of Taiwan's southernmost tip of Eluanbi. The weather will start to improve from Saturday and the temperatures will also begin to rise. The Hong Kong Observatory on Thursday has issued the typhoon signal No. 3. The typhoon has edged closer to the coastal waters of eastern Guangdong province. Signal No. 1 was already issued on Wednesday morning after Yutu came within 800km of the city. The Education Bureau has also announced that kindergartens, schools of children with disabilities will remain suspended on Tuesday. Typhoon Yutu after killing six people in the Philippines recently is now moving towards Taiwan. 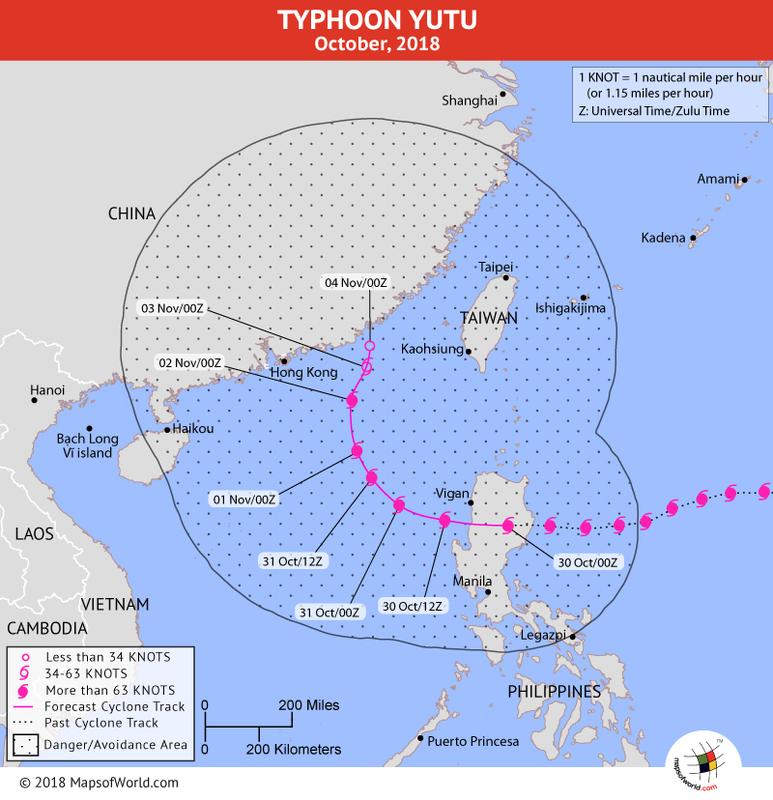 Yutu, which has been downgraded to a tropical storm is expected to strengthen as a typhoon again while spiraling towards Taiwan where it is likely to bring heavy rains this evening. 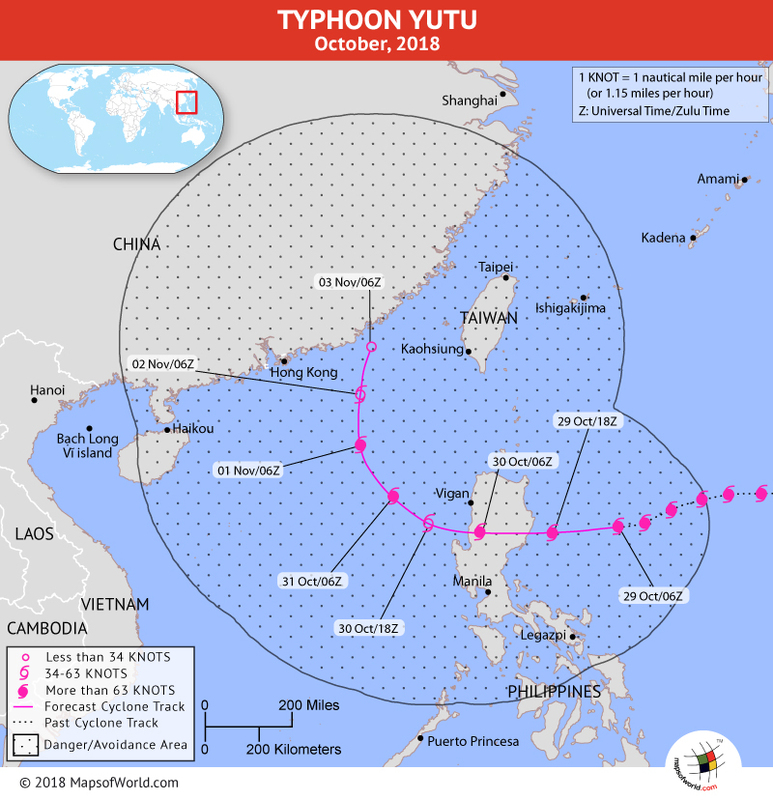 Yutu has wrecked the Philippines heavily and caused multiple landslides. 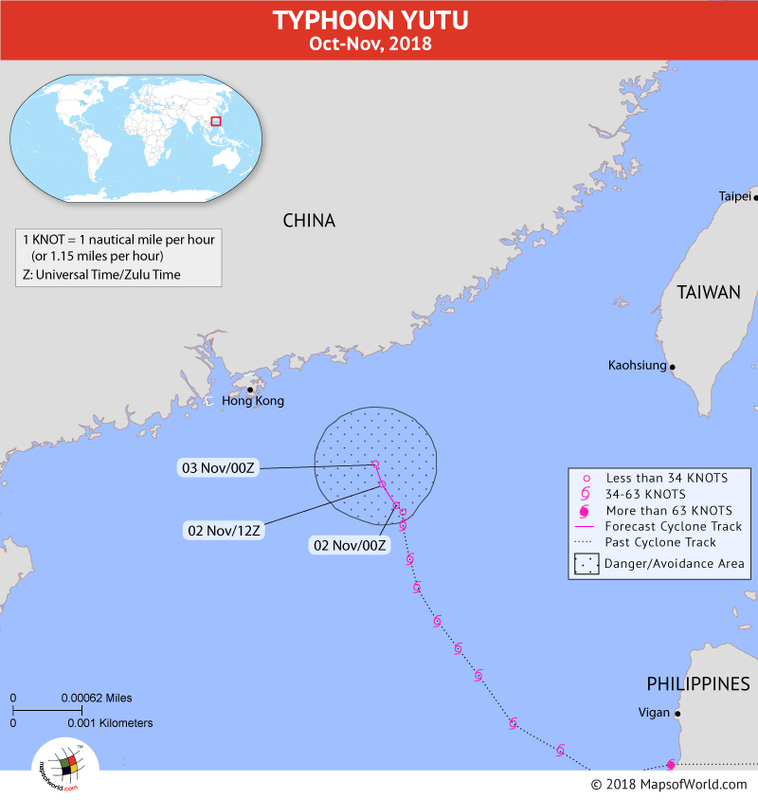 Yutu, the 18th typhoon which hit the Philippines this year made landfall in Dinapigue, Isabela at 4 am on Tuesday morning. Named Rosita by the Philippines authorities, the typhoon has crossed Nueva Vizcaya too and is all set to make Benguet its next target. As per the reports of the Philippine Atmospheric, Geophysical, and Astronomical Services Administration (PAGASA), the typhoon is moving west toward Benguet at a speed of 25 kilometers per hour (km/h). The Philippines on alert after wrecking havoc on a U.S Territory. After wrecking Northern Mariana Islands of the USA, the typhoon Yutu barrels towards the Philippines. The archipelago after hitting the US Soil has raised tropical warnings and has been put on high alert on Monday. The typhoon Yutu which was a category 3 storm is all set to hit the Philippines on Tuesday morning with winds of 106 mph which can gust up to 130 mph. Sustaining a wind speed of 174mph, Typhoon Yutu turned into a Category 5 hurricane just before hitting the Northern Mariana Islands of the USA, late Wednesday night. It has devastated the residential areas and has cut power and water supply in more than a thousand homes. The authorities had issued a life-threatening weather warning to the residents of Northern Mariana Islands late Wednesday. 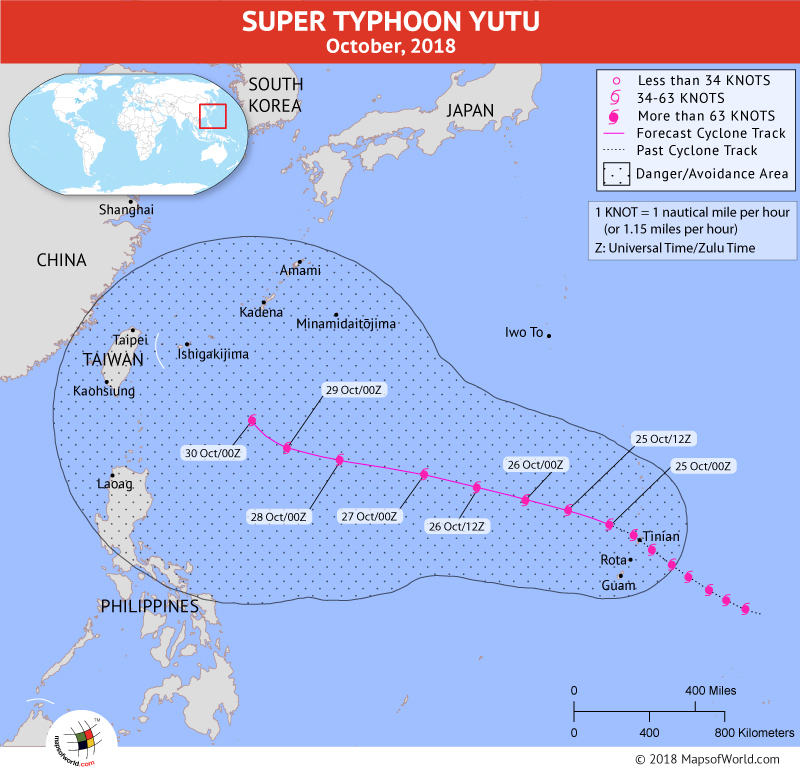 The Super Typhoon Yutu is the strongest to have hit a US territory. The communities of Saipan and Tinian where over 55,000 people are inhabited, had never faced a tropical cyclone of this intensity. Heavy machinery is being utilized to clear the debris and estimate the extent of the damage.